It was pretty cold here this weekend. When I say cold I mean like 28 degrees cold but the wind was blowing so the "real feel" was even lower. So much for an early spring, right? Well I am SO glad I had a 5 day weekend (4 days planned and one unplanned snow day)because I just hibernated inside and spent A LOT of time on Pinterest. That's naturally what everyone does when it's cold out, right? images that just completely melted my heart during such a cold and blistery week. I feel bad that I don't know the original source to these pictures but I did save them from either Pinterest or Instagram. 1. This image was the best thing I've seen all year. I know it's only February but I promise you it will continue to be the best thing I see all year. WHY? This Yellow Labrador is 18!!! Yes, 18 years old. 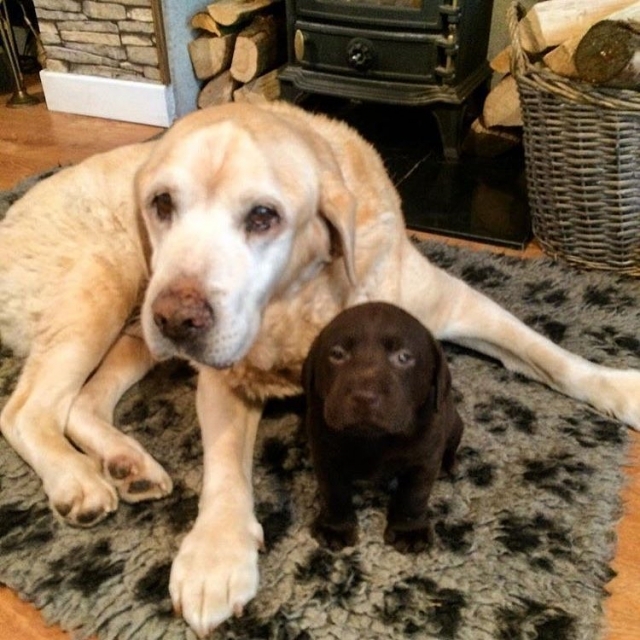 Our old lab lived to be 16 and we thought that was an anomaly! After seeing this image, it give me hope for our Baylee girl! Oh, and the puppy beside her is 4 months. 2. THIS!!! I just thought this was precious. I have a similar bracelet which I tried to collect Disney Christmas charms on but I think this one is much better! 3. This photo could have been taken at my house, but it wasn't. This warmed my heart because it looks JUST LIKE Baylee and her brother Dexter (who passed away last year). Not only do the dogs look like ours, but we had that same exact dog bed and it looks like they are sitting in front of our fire place too. I just love it! 4. 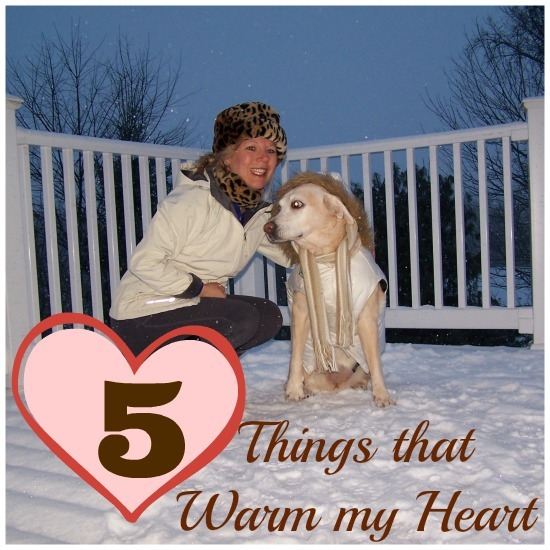 And because this is suppose to be a running blog and not everyone loves dogs as much as I do, I thought I would include this picture. This is what true comradery and friendship is. 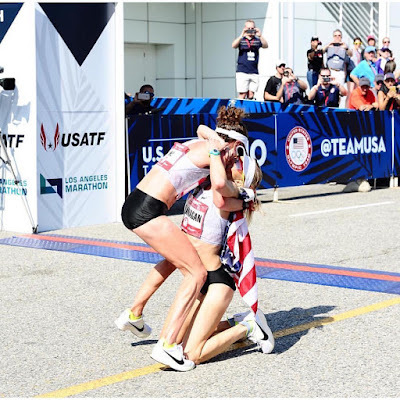 Shalane Flanagan crossing the finish line into the arms of her teammate Amy Cragg. 5. And can we all just say Awwwww to this? This couple is embarking on the Princess Half Marathon weekend at Disney. Aren't they just adorable? We are linking up with the gals from the Friday 5. Those Disney race costumes are clever, and so different! Great heart warming pics! 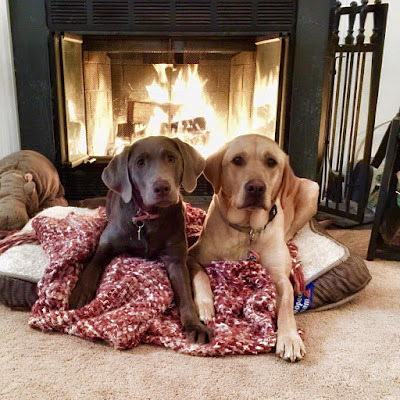 The dogs by the fire are cute! 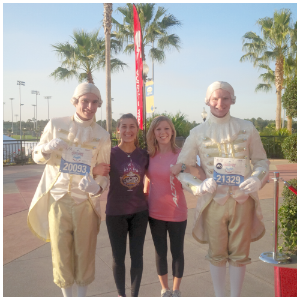 The couple running the Princess Half are adorable too! Have a great weekend! What sweet pictures! I'm a cat person, so I'm always getting caught up with the cat pictures on instagram. It's kind of an addiction. That picture of you and Baylee is so adorable! The lab pictures are adorable. I'm loving the Mary Poppins and Bert costumes too. I always go to rD social media to see what costumes people have. So cute!! We are also Lab owners and dog pictures are special to us too. Do you follow @worldoflabs on Instagram? They have the best photos and videos. There's a video of a yellow with a backpack on filled with little yellow puppies that we're pretty obsessed with right now. Oh my goodness... I smiled this whole post. I love dogs as much as you but I also love running! And that Mary Poppins duo is adorable! The tiny chocolate lab that can barely keep its eyes open...tooo much cuteness! I'm a sucker for cute dog pictures! And the couple getting running for Princess is adorable. Those dog photos are just too cute! And I was amazed by Amy's selflessness when it came to catching Shalene. That's what being teammates is all about! Love the dog pics! My beagle is going to be 16 years old in May! I love the dog photos, especially the one of the older dog with the puppy. So cute. And that couple's running costume is great. I love puppy pictures!!! Tiny animals make my heart want to explode!!! I remember when my cat was kitten.. she was the most adorable thing in the world. Also, the picture of Amy and Shalane is so beautiful. I needs friends like that! I love labs! I cannot wait until I have my own place so I can get a chocolate lab. 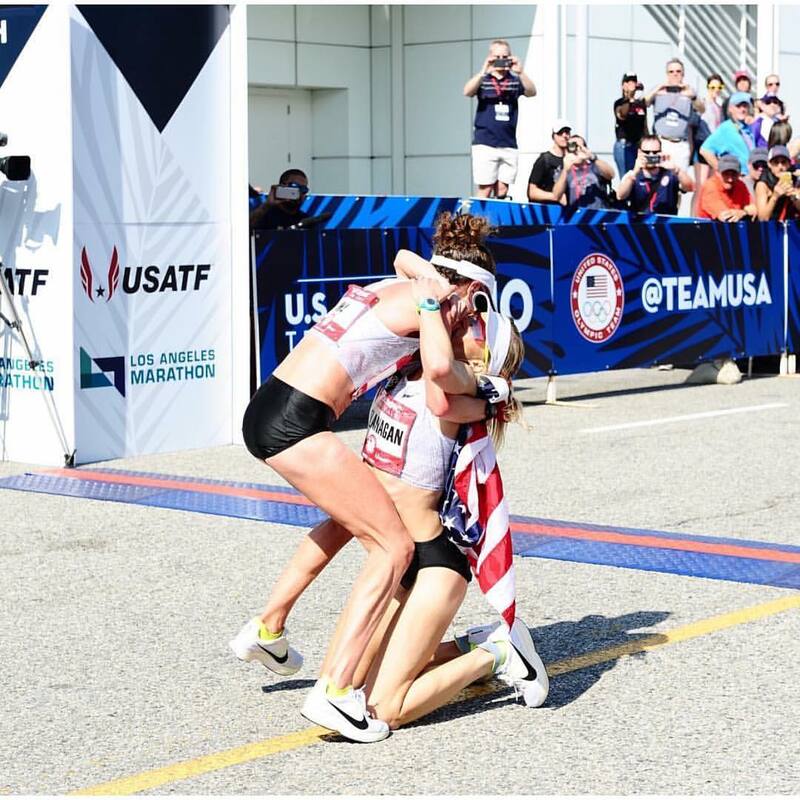 That picture from the Olympic Trials is great. I love how they support each other! That couple running the half... I am mushing out over it. I especially love that picture of Shalane and Amy! Such a great friendship and they are amazing teammates! I love everything about this post! But that doggie charm bracelet? Oh, it just warms me. I have an Apple Watch, and my screen saver is my beloved but gone baby Cleo. The marathon pic makes me want to give it my all at the marathon I'm running in 2 weeks. 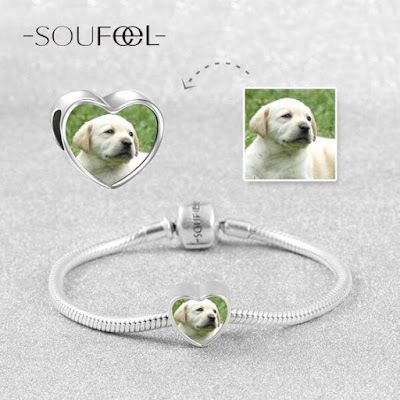 The dog pictures - cute! These are great pics! I'm not sure how I'd feel if someone took my pics from IG and shared without permission though. :-/ Could you at least link to their IG pages? The dog pics are the best :) I can not even tell you how much I miss my kitty right now. It is hard when we have to say good bye, I wish for just a few more moments all the time. The puppies (old and young) are adorable! I'm more a cat person (eek, I know! ), but I still love the cute cuddly dogs...so much personality!! YAY for all the puppy pics. <3 Have a great week! 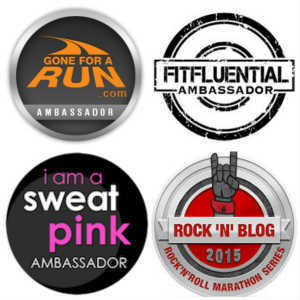 Workout gear for those who love their pets!